We know you’ve heard of BOTOX®, but do you have all the facts? Typically, when people use the term “Botox,” they’re speaking of the broad category of facial injectables and may not be referring to the specific brand, BOTOX® Cosmetic. BOTOX® is commonly used as an interchangeable term for any facial injection because it is the most popular and well known, however, there are many excellent brands on the market that provide similar results. It’s important to consider all the options when choosing a facial injectable that is right for you. Each one has its unique advantages, and we want to help you make the most informed decision possible. It’s true that BOTOX® is capable of producing remarkable effects and has proven extremely successful in eliminating nearly every type of wrinkle. 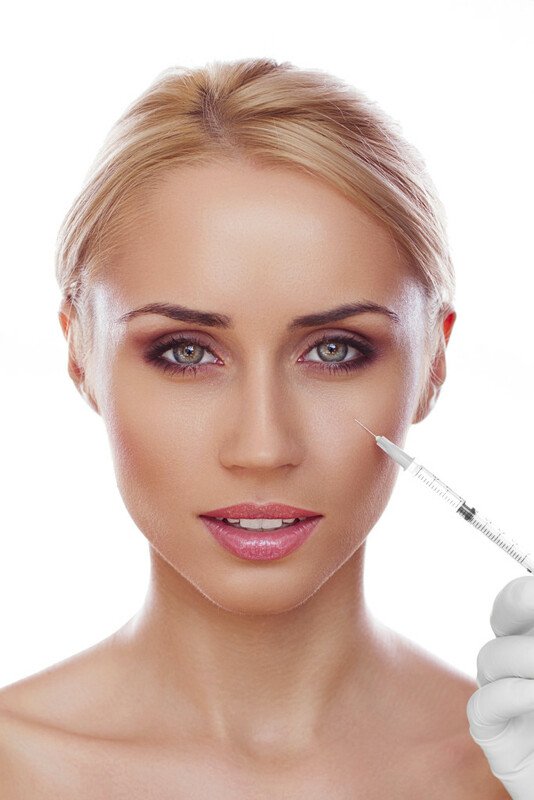 Injections are quick and produce immediate results with little to no downtime. The primary drawback to BOTOX® is that results will only last for three to four months, requiring additional treatments on a regular basis to maintain your look. BELOTERO BALANCE® is a facial injectable but unlike Botox, it is a filler and uses a different formula. BELOTERO BALANCE® is a hyaluronic acid injectable designed to smoothly assimilate into your facial skin tissue. It fills areas within the skin tissue to reduce the depth of any wrinkles, lines, and folds surrounding the injection site. This allows the skin to remain mobile and flexible, with a natural look and feel. Like BOTOX®, results from BELOTERO BALANCE® will fade after four to six months. For longer lasting results, some people choose a popular injectable called Radiesse®. This unique wrinkle filler is used to plump the skin by stimulating your body’s own natural collagen to continue results overtime. Results from Radiesse® are immediate and last several months to a year in some cases. If you’re worried about pain and stress surrounding the procedure, Juvederm® is a filler specially infused with lidocaine which provides greater comfort at the injection site. This smooth-gel injectable is manufactured with HYLACROSS™, an innovative technology that works to replenish the hyaluronic acid (HA) in your skin. HA is a naturally hydrating substance that keeps your skin looking soft and youthful but your supply of HA diminishes as you age. When injected into the skin, Juvederm® replaces this lost HA, restoring hydration and eliminating wrinkles.